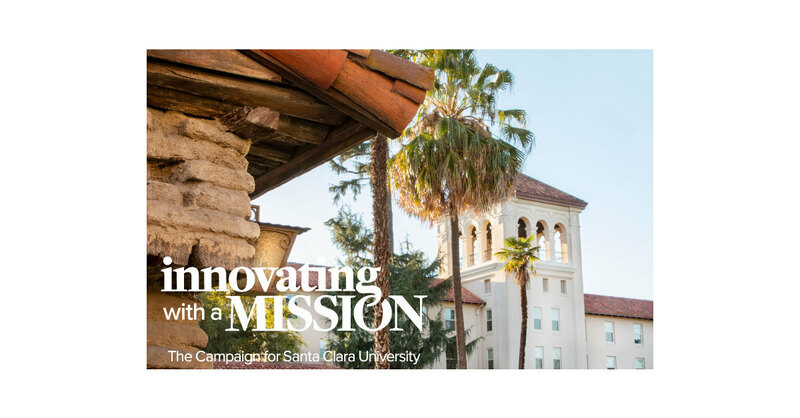 SANTA CLARA, Calif.–(BUSINESS WIRE)–With a goal of elevating the value of its graduates to Silicon Valley and to a world in need of conscientious leaders, Santa Clara University announced the public launch of its $1 billion fundraising campaign Saturday night. The launch was announced at the University’s 53rd annual Golden Circle Theatre Party held Jan. 19 at San Jose’s Center for Performing Arts, which featured a performance by James Taylor, followed by a dinner for 2,500 guests at the Fairmont Hotel. The University has a website describing the campaign initiatives and impact. The University’s previous fundraising campaign ended in 2006, and raised more than $400 million from more than 41,000 donors. That resulted in the construction of the current business school and learning commons and library, more than $100 million for scholarships, and new professorships, among other campus changes.